This was one of Dad’s and my better catches. 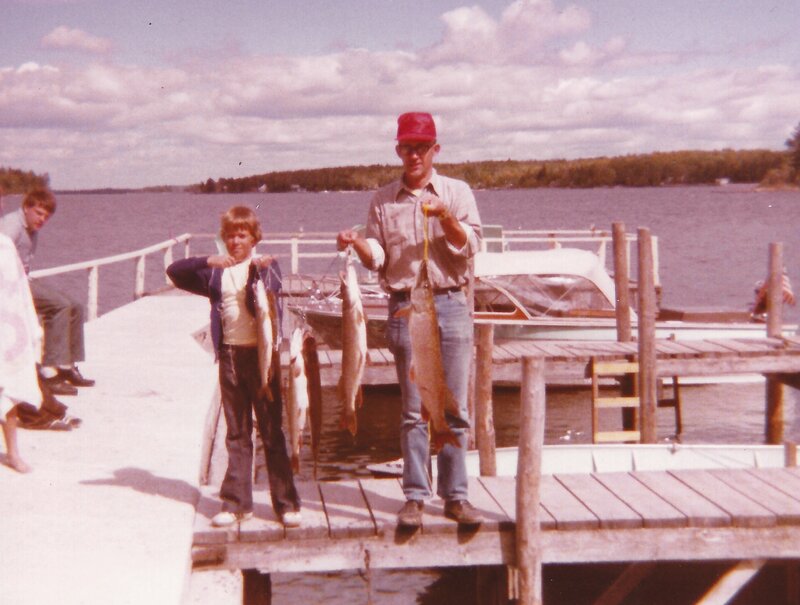 I did a lot of fishing with my dad and siblings when I was a kid. There was nothing worse than being out all day, and not catching a darn thing. For a kid, it was torture. I can only imagine how much worse it was for Simon when it was all night he’d been out and fishing was his livelihood. As I read this morning, I so identified with the discouragement Simon had to be feeling. He was tired. He was depressed. The last thing on earth he wanted to do in that moment was go back out on the water and, to top it all off, he’d just been washing his nets. Going back out meant that he’d have to come back and wash them all over again. Ugh! I have often found, along life’s road, that God’s timing and my timing are not always the same. As frustrating and discouraging as it can get waiting on God’s timing, I have not been discouraged in the long run. The adrenaline rush that Simon must have felt when he realized his nets held the largest catch he’d ever experienced pushed away any weariness he felt. The catch served to teach him that this teacher from Nazareth really was a man of God, and was what Simon needed to convince him to leave his nets and follow the young rabbi. Finally, the catch would have provided Simon and the boys the funds they would need to provide for their families and their new life as disciples of Jesus. Like Simon, I have found that God’s timing usually comes through, not when I want it, but right when I need it, and it provides God’s best when I need it the most on multiple levels.